If I seem a bit more absent then usual from the blog and social media this week it is because I am learning the hard way that overtime hours at work and having start packing for school and a vacation do not mix well for me... for the pas 48 hours I have been feeling 110% stressed! I am starting to get more and more excited for the fact that my mom and I will be off to Canada for a little getaway at the end of this week, it will be much needed. I absolutely loved my iPhone case that shop owner Janet sent me. I still can't believe that she did this all by hand- it is so gorgeous! And since the review and giveaway post that I did, and bunch of beautiful new case designs have been added to her Etsy shop- take a peak at these beauties! 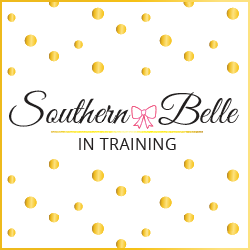 Janet has generously offered to sponsor yet another giveaway on Southern Belle in Training! 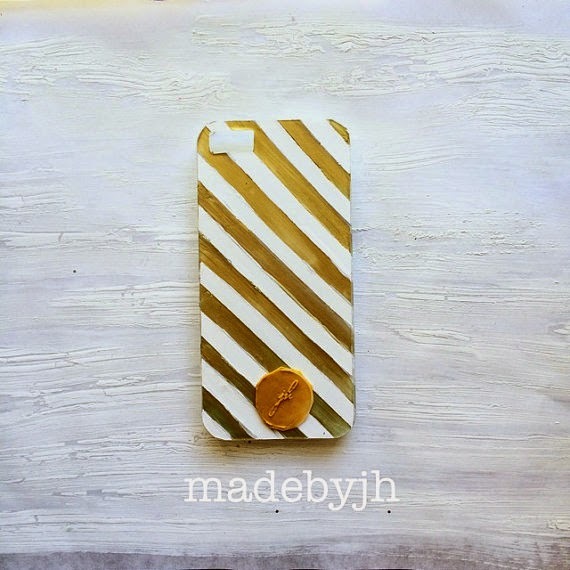 This one is for a $10 gift card to her Etsy shop, to use on the iPhone case of your choice! This giveaway will end on Wednesday, August 13th, 2014. 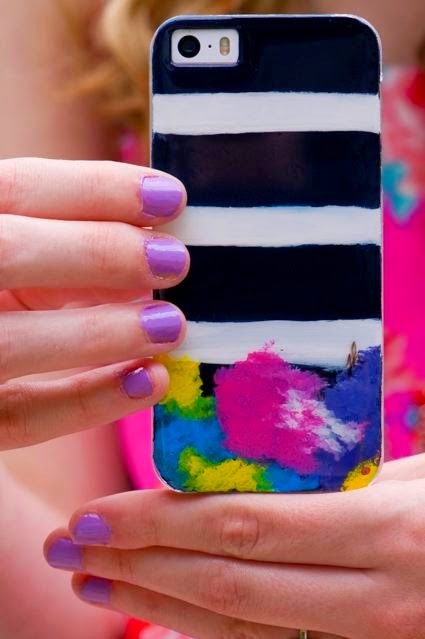 I'd love to get the Kate hand painted case (the one with gold stripes)! 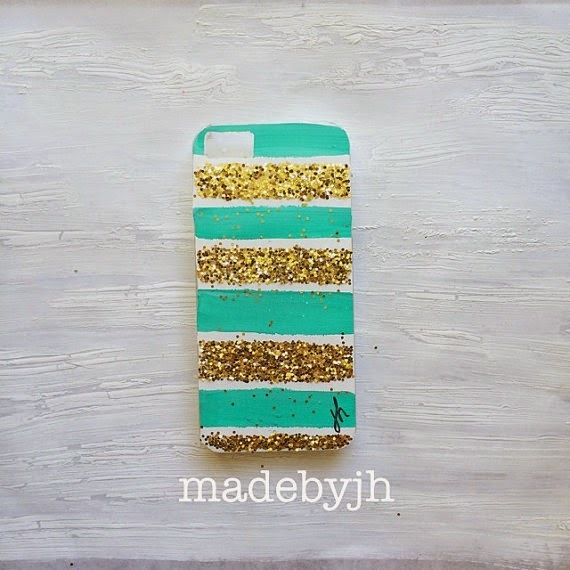 I'm obsessed with gold and this case is perfect! Thank you so much for the giveaway! I love all of these but I really like the third and fourth ones most! Ugh, that's so hard! I love the teal and sparkle one at the bottom! Love the Laura & Kylie!! Love these!! Especially the green and pink one - would be perfect for fall! Thanks for offering such a great giveaway! I love your case the most! It's so chic and pretty! All the cases are so cute! 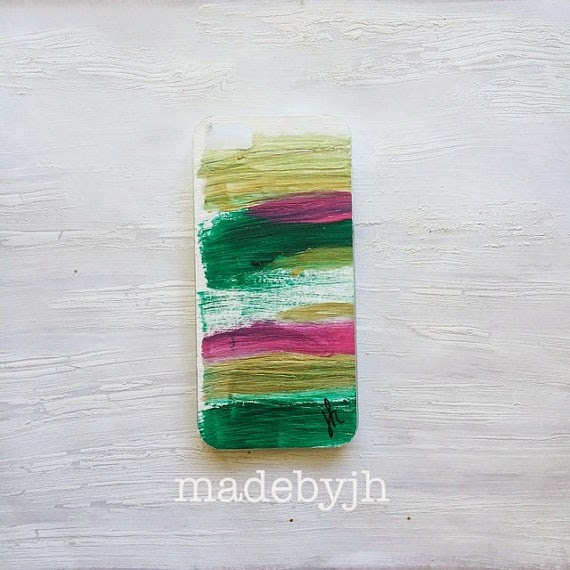 But I think I love the "Emma Hand Painted Iphone Case" the most. I would go for the teal and gold sparkles! SO PERF!